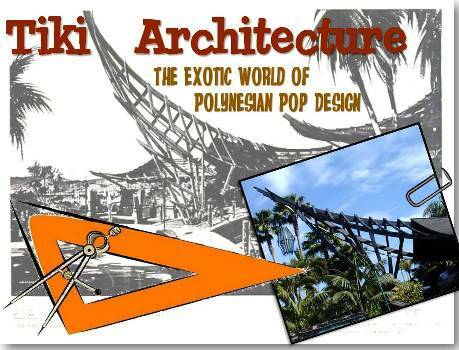 The Polynesia aprtments were originally documented in 2006 over at Tiki Central. I recently found some new information to share that shows how the place has changed over the last 50 years. The Polynesia was built in 1962 by Mr. Max Resnick, a Southern California apartment builder. 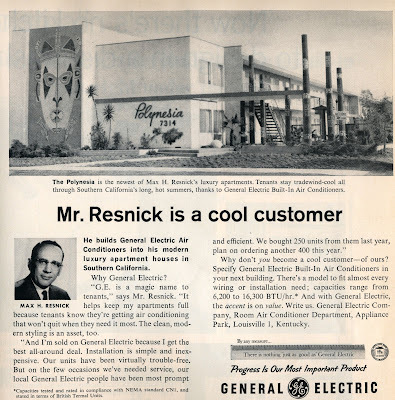 The newly constructed complex was featured in this May 1962 advertisement for General Electric Air Conditioners. The Polynesia is the newest of Max H. Resnick's luxury apartments. Tenants stay tradewind-cool all through Southern California's long, hot summers, thanks to General Electric Built-In Air Conditioners. 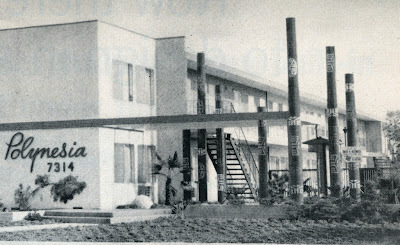 Unlike most tiki apartment complexes, The Polynesia did not have an A-frame at the entrance. Instead, it had this interesting arrangement of large beams decorated with exotic patterns to provide an entrance canopy. 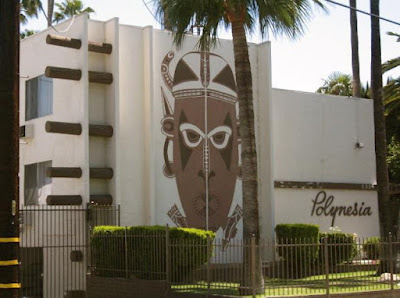 The Polynesia still stands and the mural on the front of the building remains. However, the decorated canopy beams have long since been removed. 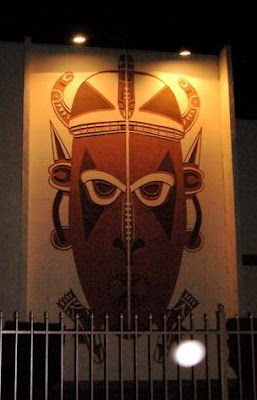 Back in 2006, they were still lighting the mural at night. 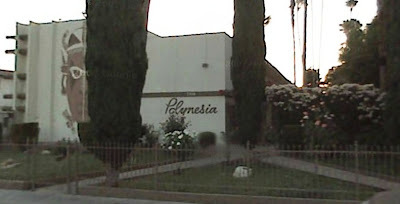 The Polynesia is located at 7314 Variel Avenue in Canoga Park, California. Wow! 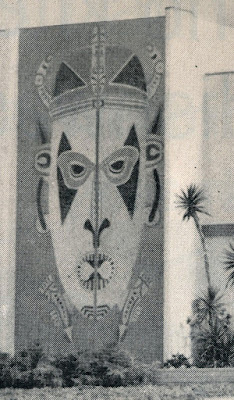 It's good to know that those people who runs the Polynesia still manages to remain the essence of Polynesia for over 50 years. I'm so happy for the Polynesia owner's of today's generation as they had preserved well the beauty of its place. This apartment for rent and sale would gonna be a historic one surely just like a penthouse apartment and many more in different parts of the world. Nice to see Polynesian paintings on the building, I wish it also had that beautiful Polynesian roof. This is really beautiful, an interesting mix of traditional Polynesian art work and slick, modern house.